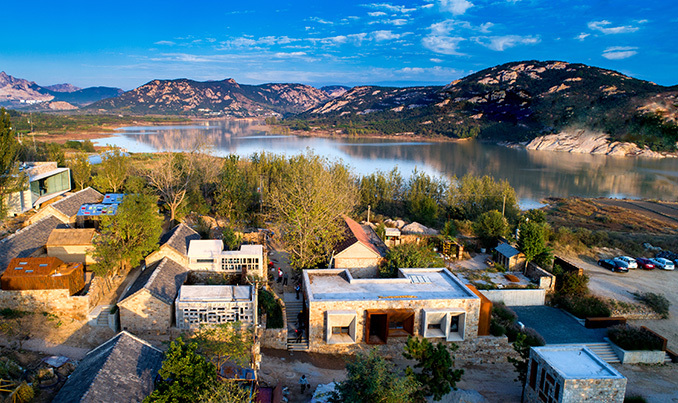 Phoenix Lake Village is a rural overall construction project and a hollow village regeneration practice. 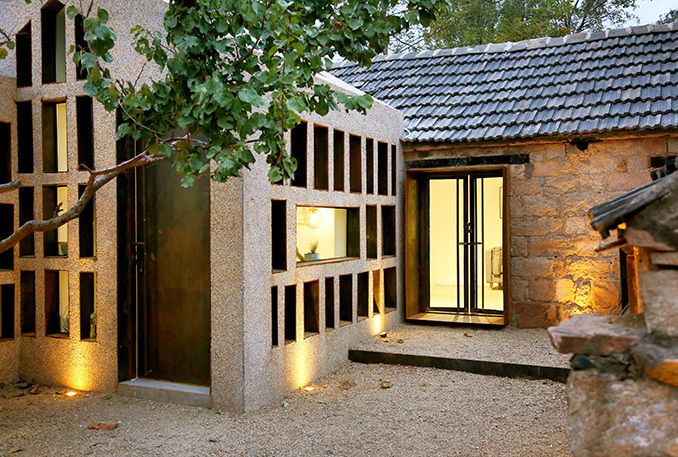 It was designed and built by Xiangwei Kong with his Guanzhuscape design team all the way. 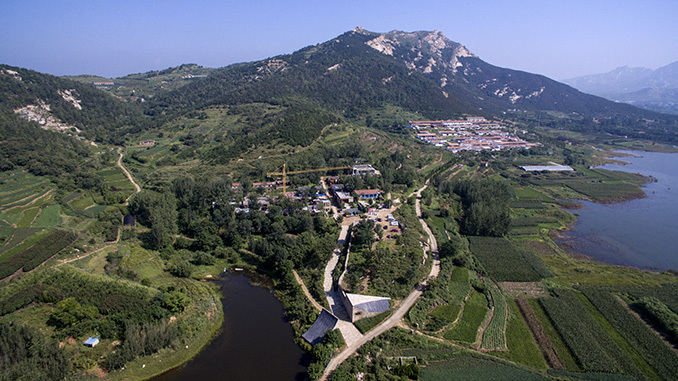 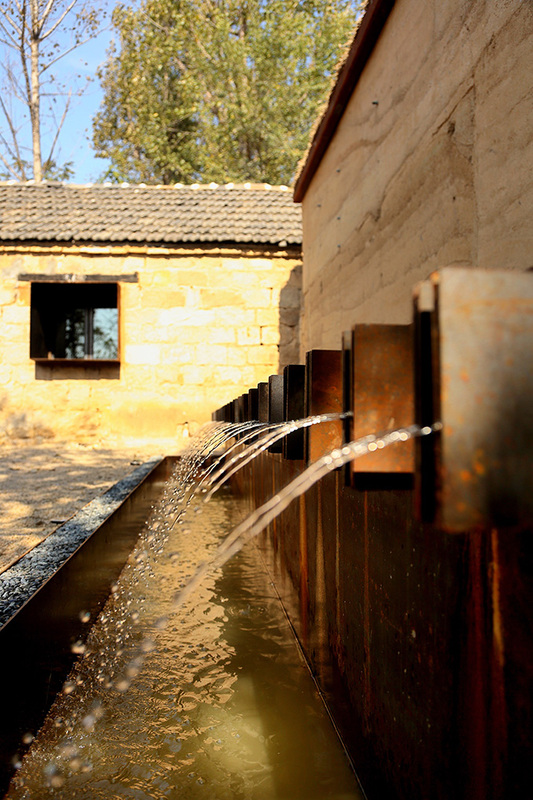 The village was originally called Du jiaping, which was a typical stone-made settlement in southeastern Shandong. 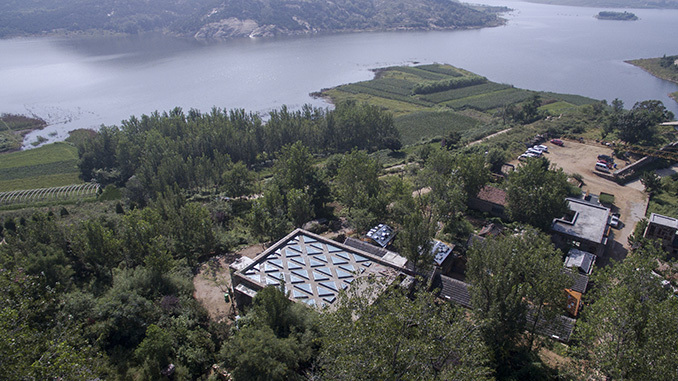 In the process of urbanization, the village is abandoned, most of the old houses are collapsed, and more than a dozen old houses are left. 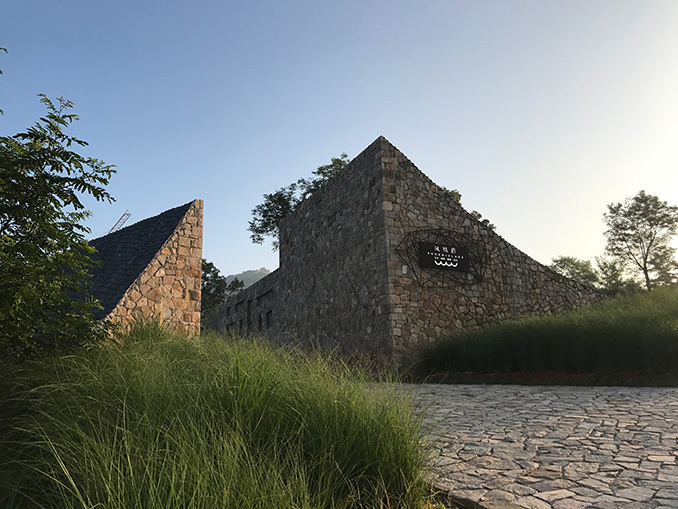 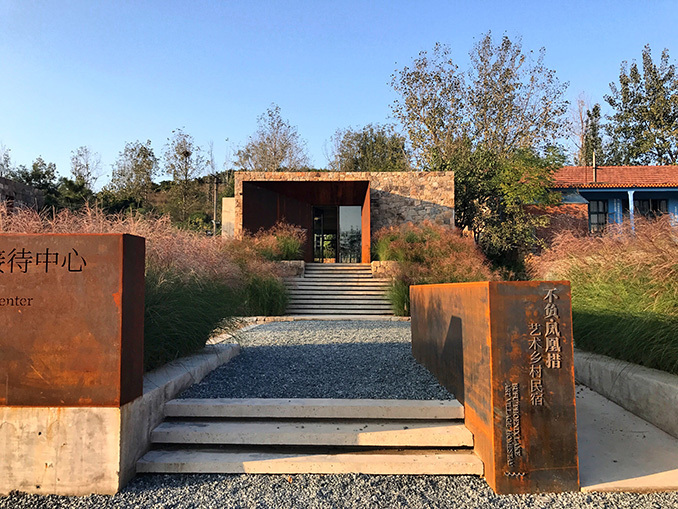 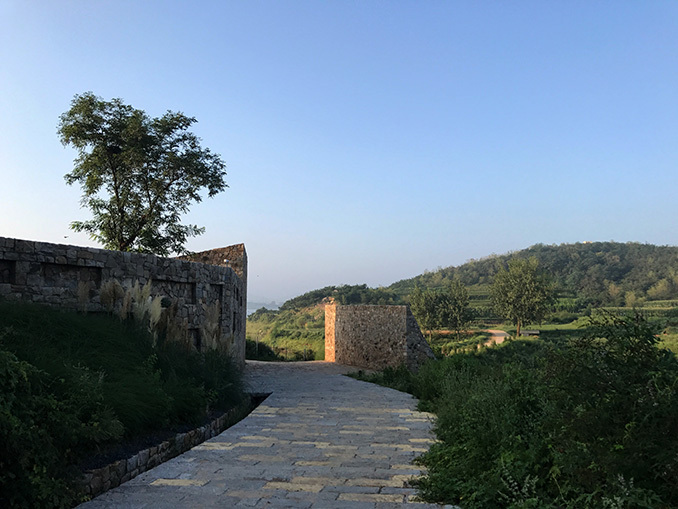 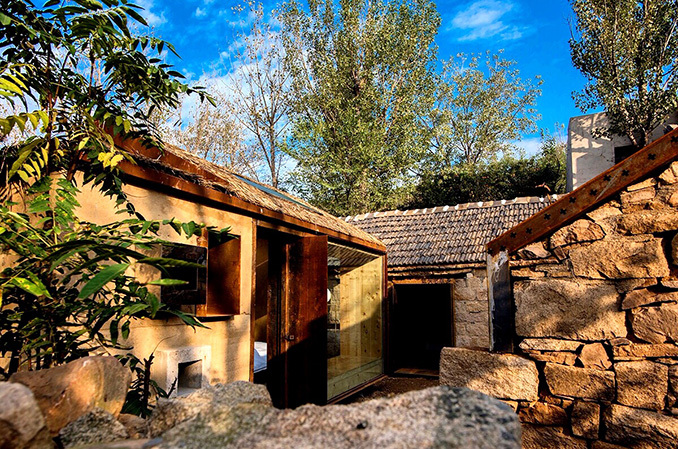 Phoenix villages are positioned as a Rural Art District overall, including B&B hotels and artist studios, and contain cultural space such as forest art gallery, water theater, hilltop church, hillside garden, library, and museum. 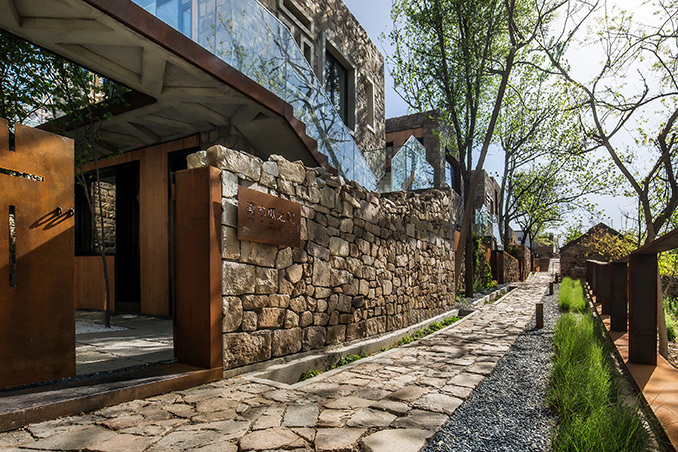 It also includes recreational space such as teahouse, café, restaurant, and children’s commune, and it has left an area to create an old-house museum. 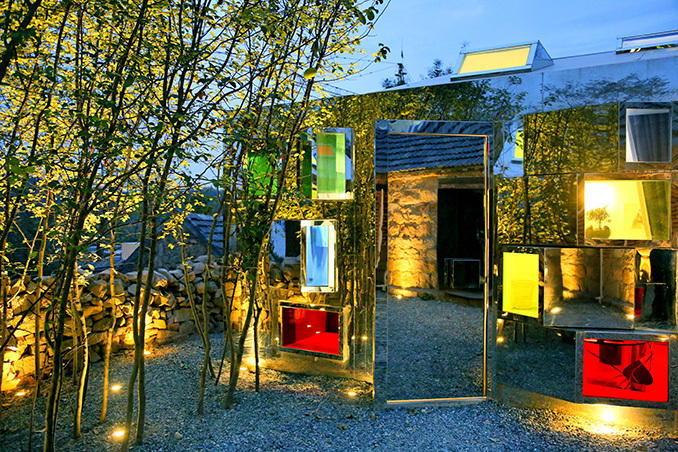 Artist Studio: It is located in the first deserted alley on the west side. 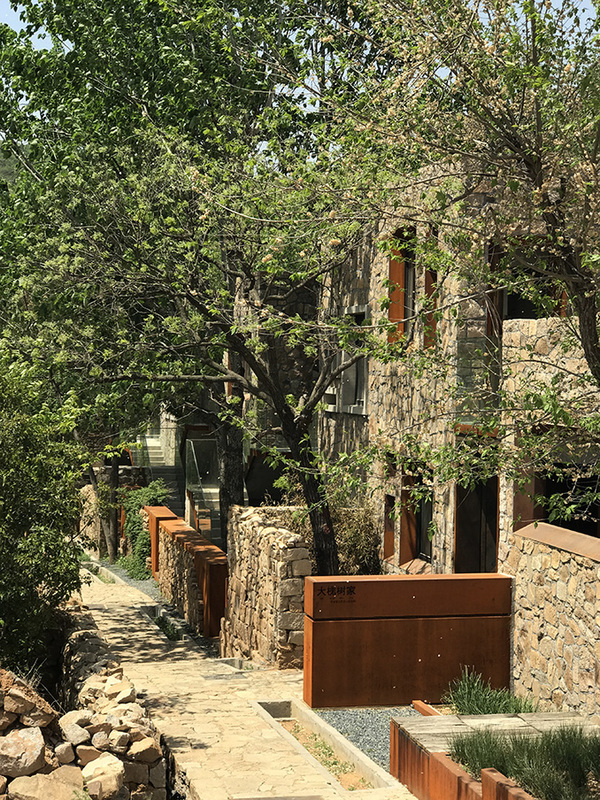 The old walls and the trees in the yard have remained, and the houses are built in the space. 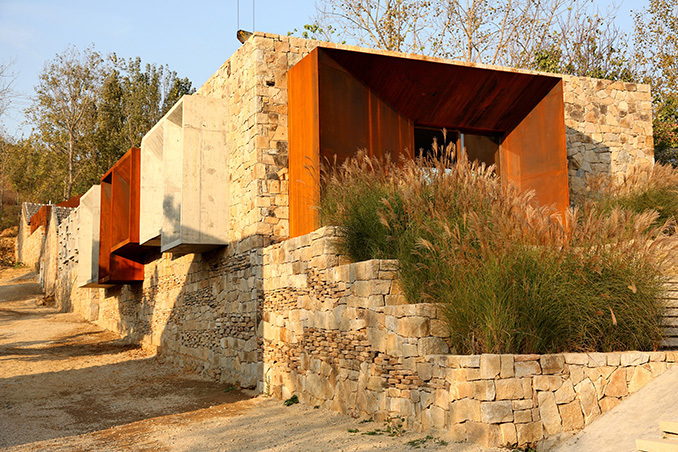 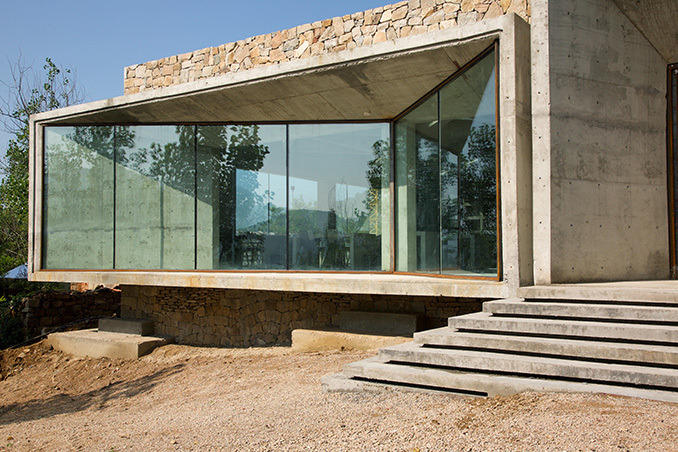 The main construction material is the stone from the abandoned old house, and the windows are built of concrete and weathering steel plates.